During World War II, the world's first deployed atomic bomb was dropped from an American B-29 bomber flying high above the Japanese city of Hiroshima, on 6th August, 1945. 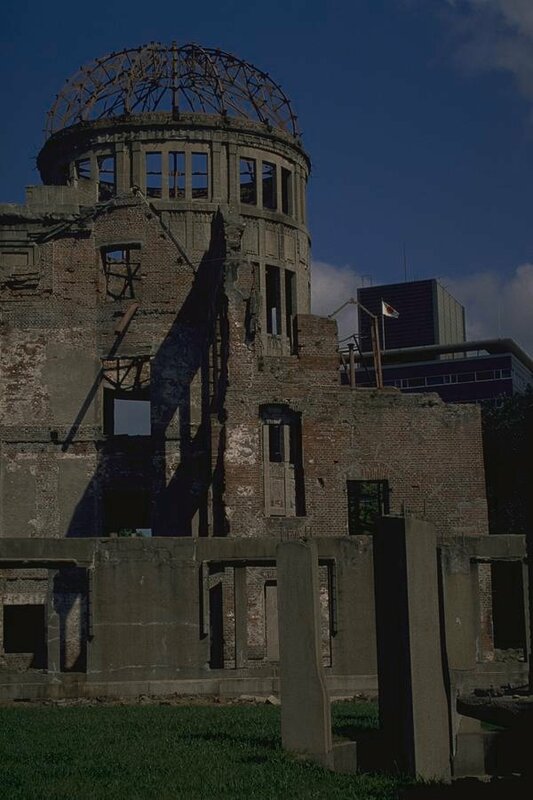 The most recognisable symbol of the atomic bombing in Hiroshima is the skeletal remains of the Atomic Bomb Dome. Designed by Czech architect Jan Letzel, in 1915, the Hiroshima Prefectural Commercial Exhibition Hall was one of the city's best-known sights. The Hiroshima Peace Memorial was declared an UNESCO World Heritage site in 1996. Barack Obama became the first sitting U.S. president to visit Hiroshima, where he called for a 'world without nuclear weapons' during his remarks at the city's Peace Memorial Park; on Friday 27th May, 2016.